A wrapping of about Pure Wool around the Organic Cotton layered core. 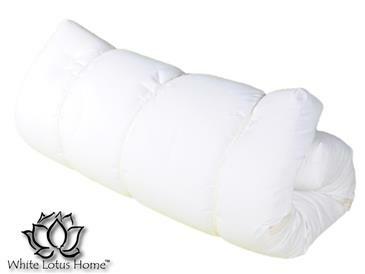 This futon is made primarily of organic cotton, with no chemical fire retardant. Organic cotton is soft to the touch but firm under pressure.